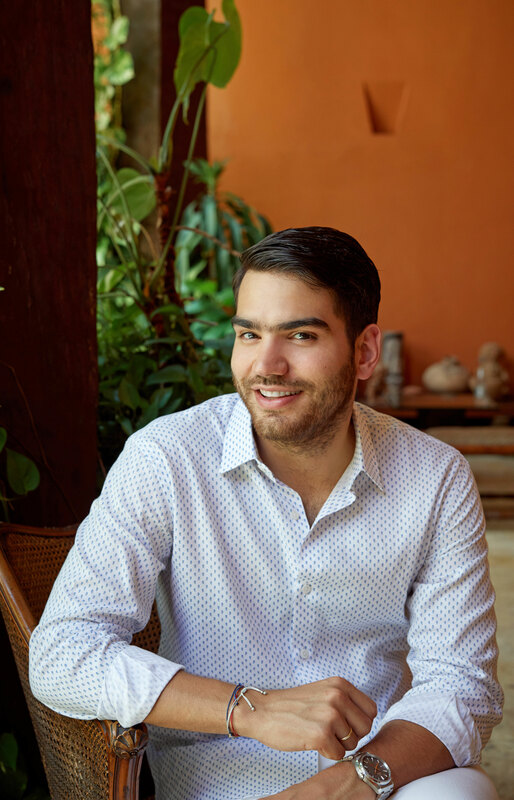 Luis Otoya is the owner and founder of the catering and special events company Evento y Cocina in his hometown of Cartagena, Colombia. He has traveled the world sharing his culinary vision of refined and elevated Colombian cuisine. His work and expert advice has been featured in numerous publications throughout South America and beyond, including Jamie Oliver Magazine, Sweet Paul Magazine, Vogue Spain, Hola, JetSet, D’Boda Novias. Luis joined forces with Matthew Robbins Design along with launching RobbinsOtoya for Destination Events. This new venture focuses on planning and designing exquisite destination events outside of the US. Luis combines his knowledge of hospitality and catering with Matthew’s expertise in design and entertaining forming the perfect team. Luis is currently developing concepts for his first book and he’s busy producing new and artful experiences for his clients around the world. RobbinsOtoya has offices in Cartagena and NYC. Luis’ experience and knowledge of catering and production for special events is a bonus for every client working with Matthew Robbins Design.